LuminArtz is a nonprofit that works with local artists, designers and creative technologists to create public art installations that contribute to place-making and establish new opportunities for art in the public realm. 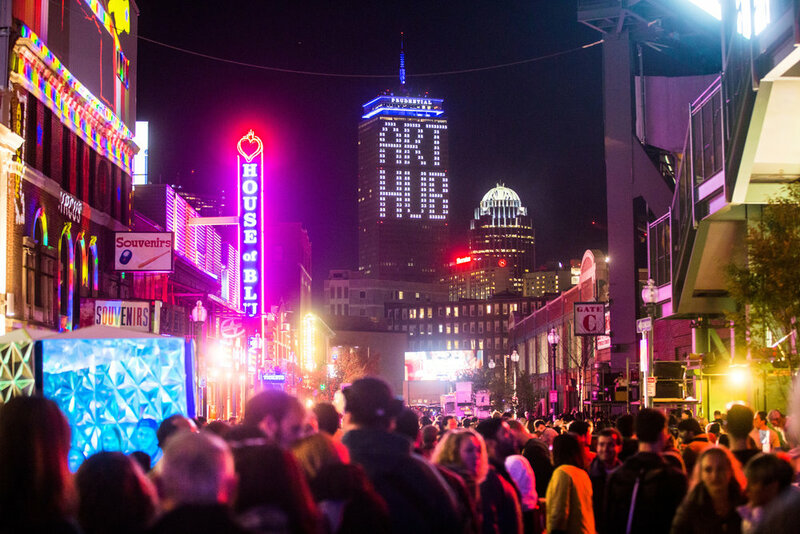 LUMINARTZ PARTNERS WITH ILLUMINUS, BOSTON’S FREE NIGHTIME CONTEMPORARY ART & LIGHT FESTIVAL. WATCH THE VIDEO BELOW tO LEARN MORE ABOUT OUR PARTNERSHIP. This installation highlights the global need for clean, affordable light as well as draws our attention to the importance of the intersection between design and technology that is critical in developing renewable energy sources. This project consists of 50 handmade lanterns each wrapped in a story, with printed quotes that wrap the colored light. The artist interviewed 50 people who work or live in the downtown Boston area, each responding to the same four questions asked when people apply for visas to enter The United States. This projection mapping project was Boston's Mayor Marty Walsh's celebration of light in the winter. The façade of the Boston Public Library was illuminated by 3D projection mapped animation tracing the architectural detail of this historic building.